When you’re going for the thrill, the chill, the deep wave of primal emotion, there isn’t much that is more likely to satisfy the itch than adding a home subwoofer (or two) to your setup. Whether your taste runs to action movies or horror flicks, orchestral works with organ and double bass notes, or electronic music with digitally-generated notes that never occur in nature, a well-designed sub can add extra excitement to your experience. When you sit down and start to design a subwoofer, there are two schools  one is the school that the subwoofer should play incredibly loud in a narrow frequency range. This is ‘hitting-you-in-the-chest’ bass, the kind that you may notice in movie explosions or really tricked-out car stereo systems. The more you emphasize the mid-bass, the more you notice this fake effect. The other school is for people who are used to live performances, with all the nuances of an acoustic performance, and want that very low almost room-vibrating effect. This requires layered bass  some deep, some less deep  covering a linear, full frequency range and presenting a life-like listening experience. Is one better than the other? It’s a matter of personal preference. Because of our research in psychoacoustics, our goal is always to have the smoothest, tightest, most linear bass response over the largest frequency range possible. Could we design a subwoofer that had a mid-bass hump that would win a quick, sighted A/B test every time? Sure, but doing so comes with compromises. A great way to test for the best home subwoofer is to listen to a very high-quality recording of a stand-up double bass. A double bass naturally encompasses the majority of the audible bass range, and if you listen to a track that has a run of notes  scales or just a run-up  you will notice these unnatural bumps very clearly. Some of these bumps will be due to the room, but if your subwoofer has a bass hump in the same frequency range as your room this effect will be even more obvious. This is a great test to do with your own sub. It takes some concentration, though. We are naturally more critical listeners at higher frequencies. 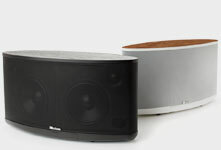 It’s a matter of personal taste and whichever you prefer, there is a subwoofer for you. I recently installed an Epic 80  800 system in a cavernous room, and we had to keep turning it down and down and down . . . You can definitely get ‘loud’ and ‘musical’ in the same box, but it’s going to be a big box! You have to watch the size of the box and make trade-offs accordingly for home use. Car stereo is limited by the size of the car and the amplifier power available, obviously, and movie theaters have different challenges again, including massive absorptive (audience, chairs) and reflective (screen, big ceiling) areas. If you could make a subwoofer as big as a room, you could get loud and linear down to inaudible notes with no compromises at all . . . and probably no room to sit and enjoy it, either. One thing I often find confusing and somewhat amusing are reviews claiming one subwoofer "outperforms" another without any explanation as to what that might mean. By outperform do we mean a sub plays louder than another, and if so, at what frequency? With all types of music and movies or only with specific CDs? Is it because one subwoofer has lower perceivable distortion than another? 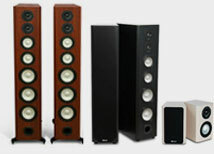 A well-kept secret among subwoofer designers is using response tailoring in order to win a head to head test, such as on a speaker switcher at a big box electronics store: you may be familiar with this phenomenon in television sales, where manufacturers torch the sets in order to win the perceived brightness war in store. In the same way, I can easily take any of our subwoofers and make them sound "louder" or "pound" more. However, in critical listening with material that has real bass, rather than focusing on sound effects or car audio bass-buster CDs, the "louder" subwoofer will never win a listening test against what we have now. It really is a matter of different strokes for different folks. The world of home subwoofers is all about trade-offs and our choice is to produce accurate, tight, low distortion bass with our subwoofers rather than trying to win the loudness wars. 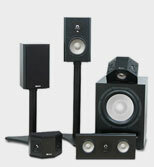 So how do you choose the best home subwoofer for your home theater? 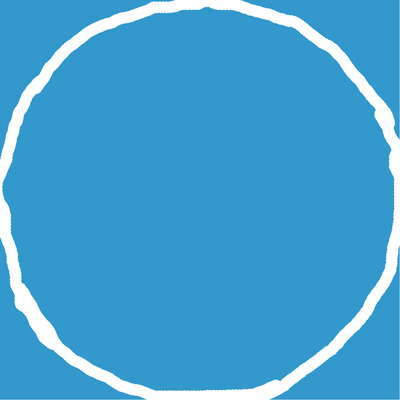 Decide how you like to listen, and what you like to watch, and look for subwoofer reviews that speak to that particular listening experience. 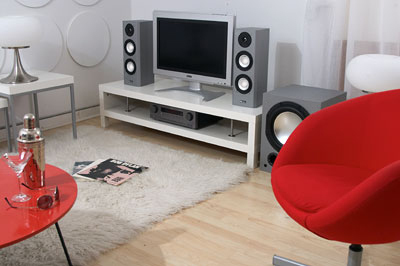 Get a sub with enough output for the room you’ll be listening in. 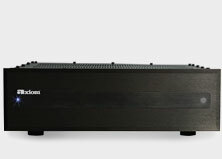 If you’re going green, a ported subwoofer is generally more efficient; on the other hand, a sealed subwoofer is guaranteed not to have any port chuffing :) Of course, the Axiom DSP also keeps a ported subwoofer from making any significant port noise, but we’ll save that for another blog . . . I hope you’ve found this look into how we design a sub as interesting as I did! For help choosing a great home subwoofer, call our toll-free number, send us an email, or post on our friendly message boards  there’s always somebody happy to help!